The 18th November 2016 saw the official launch of the SIX TIME OPEN campaign in support of the British Heart Foundation at London’s prestigious National Gallery, in Trafalgar Square. The evening included talks from the head of congenital research at the British Heart Foundation DR Sonya Babu about the breakthroughs in the field and the importance of this research in the coming years along with an address from Karl Coppack, fundraising manager for London. 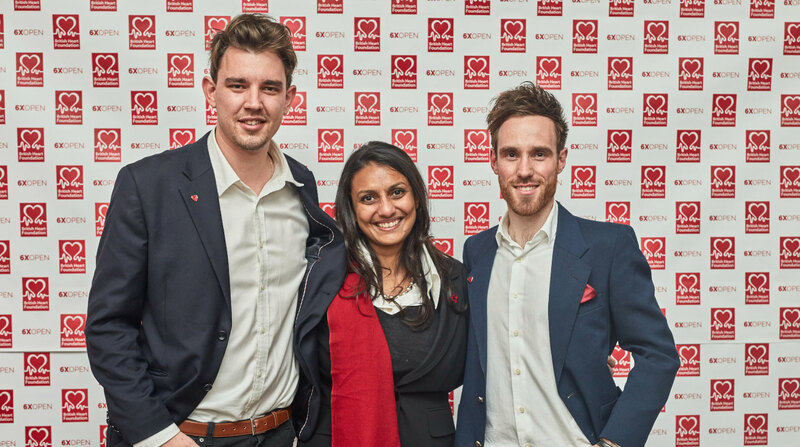 The campaign, aims to generate 100K+ in 2017 for the lifesaving research into heart disease for the British Heart Foundation, by raising awareness through events, and the documenting of the 6X open heart surgery story with 28-year-old fraternal twins Jonathan & David Stretton-Downes. The SIX TIMES OPEN twins, David and Jonathan Stretton-Downes shared the vision of the campaign to over 100 people, including friends, press and key partners. One particular highlight was a Facebook live ‘get well soon’ to Amelia Wright, a friend in the Royal Brompton hospital who had planned to attend the evening 10 days’ post-surgery who unfortunately couldn’t make it. Particular thanks go to Peyton & Byrne and the National Gallery for hosting the event, Tenpast Events for event design and friends, family and supporters who enable the twins to do what they do. We look forward to working with the many businesses and individuals that turned out to show their support throughout 2017.